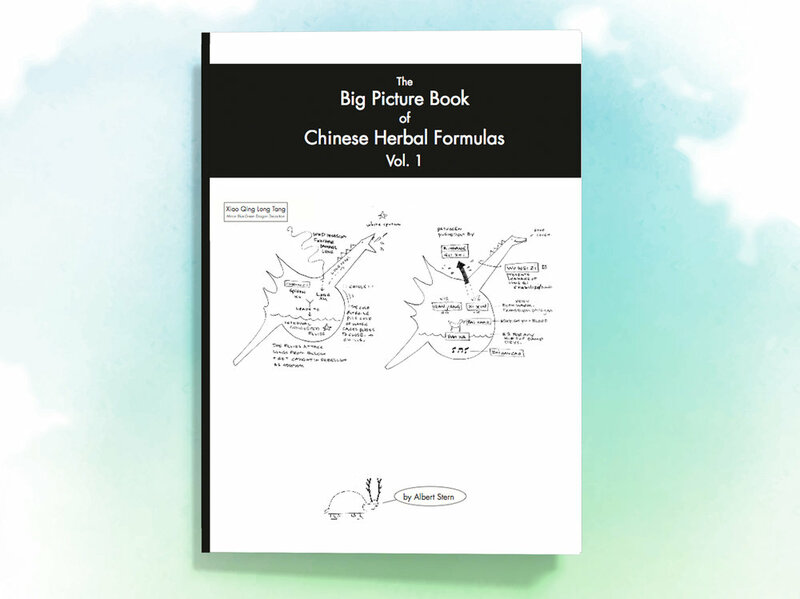 What is The Big Picture Book of Chinese Herbal Formulas? It is a study aid of unique visuals to aid in the memorization of Chinese herbal formulas. There are 156 major formulas and 176 minor/modified formulas included. There are a total of over 330 formulas depicted in all! Each major formula consists of a "before" and "after" illustration. "Before" images depict the pattern being addressed and each "After" shows the solution, which herbs make up the formula and what they are doing in the body. The images are playful and cartoonish. They are simple illustrations relying on visual language to depict ideas. They are not another code to memorize. Hot things look hot. Sweating looks like sweat. Wind looks like wind. The intention is to make this work as affordable as possible to students. Two volumes allows one to order one volume and test out the material. Where have these books been used? These books have been sold via the Bastyr University Bookstore since 2008 for their herbal students. They have also been sold independently to students of the Colorado School of Traditional Chinese Medicine and The Southwest Acupuncture College in Boulder since 2010.